Windows 10 is never finished, with Microsoft adding a bevvy of new features to the OS twice a year. The latest bundle of features is almost here (originally scheduled for April 10th and since delayed) with the Spring Creators Update expected to begin rolling out to PCs worldwide this month. Windows 10 users can expect a smattering of improvements with the "Spring Creators Update- Unofficially renamed "Windows 10 April 2018 Update". Originally scheduled for release this month, the update has been delayed due to a last minute "blocking bug". One of the most interesting new features is the Timeline, which allows users to easily jump back to what they were doing on a Windows 10 device at an earlier point, while IT admins and developers also get some smart upgrades to command line tools and Linux support. Of course, not everyone will be thrilled to have a major update pushed upon them, even if it will be quicker to install than earlier releases (an average of 30 minutes). Here's everything you need to know about what's in the Windows 10 Spring Creators Update — whether you're a consumer or an IT admin. What are the new features in the Windows 10 Spring Creators Update? Windows 10's Task View has been upgraded to show a history of previous files, apps and sites you've had open, allowing you to pick up where you left off in supported apps like Office. Past activity can also be tracked on other PCs, Android handsets and iPhones linked to the same Microsoft account. 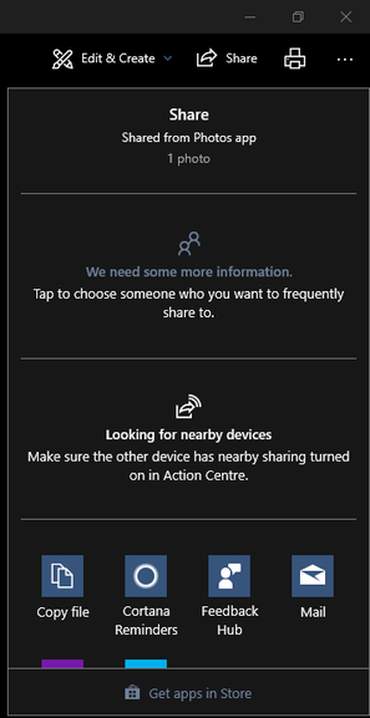 Sharing files and URLs via Bluetooth is now far easier using Windows' nearby sharing feature, accessible via the Share icon in supported apps such as the Edge browser, Photos and File Explorer. An example of nearby sharing in the Photos app. Connecting two devices via Bluetooth requires even less setup, with supported devices automatically triggering an Action Center notification asking if you want to pair the PC with the device. Microsoft's slow revamp of the look and feel of Windows 10 continues, with elements of its Fluent Design System used even more widely throughout the OS. The design language adds light, depth, motion, and the quality of physical materials to the Windows UI and apps. Below you can see the glow that the Reveal effect adds to the cursor in the Start menu and the My People hub. Microsoft continues to try to address concerns about Windows 10 snooping, with the biggest step forward being the Windows Diagnostic Data Viewer. The viewer lets you examine the data collected from your PC and sent to Microsoft by the Universal Telemetry Client. Information broken down includes that relating to device connectivity and configuration, the services and apps used, web browsing history, and related to typed, voice and handwritten inputs. Also new are pages in the Privacy section of the Settings app that give you greater control over which apps use your webcam and which apps have access to your Documents, Pictures and Videos folder, as well as to the wider file system. Focus Assist gives you more control over which notifications Windows 10 shows you, with the ability to set the hours during which notifications will be muted. There's fine-grained control, allowing you to only let notifications of a particular priority through, as well as the ability to quickly switch between three Focus Assist priority modes. The Microsoft Store is infamous for its rather lacklustre selection of software — so it's good news that help could be at hand. The Windows 10 Spring Creators Update will see Progressive Web Apps added to the store, in a move that has the potential to bring many new apps to its virtual shelves. PWAs are basically web apps that behave like native apps, are able to work offline, send notifications and be installed on PCs. Developers have an incentive to develop PWAs due to them already being supported by major browsers such as Chrome, more so than they do at present to develop UWP apps for the Microsoft Store. One of the first PWA Store apps to be revealed is from Twitter. 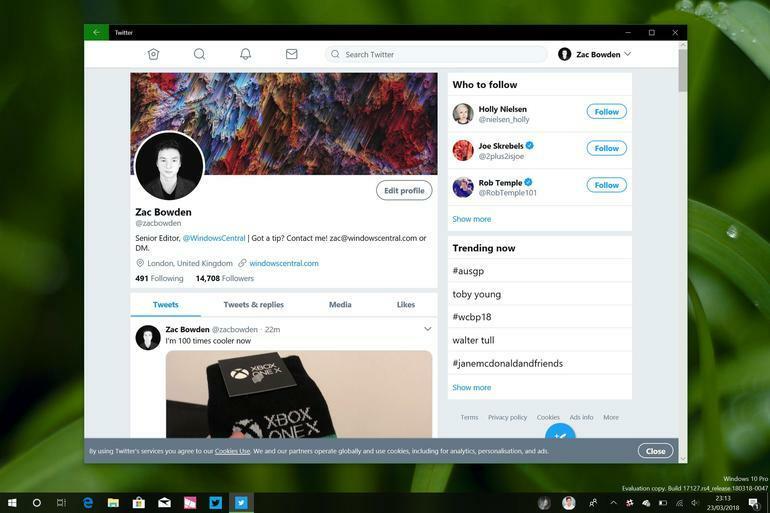 Twitter's Progressive Web App running in Windows 10. Microsoft's Edge browser may be something of an also ran in the race against Chrome, but it's slowly getting better. The update adds a variety of new features, including the ability to mute tabs, support for extensions in Private Mode and autofill on web payment forms, the ability to pin a book to the Start menu and a redesigned hub that shows bookmarks, downloads, eBooks and history. Good news if you hate Windows 10's automatically hiding scrollbars, you can now stop them shrinking out of view by adjusting a toggle in Settings -> Ease of Access -> Display. A Font page in the Settings app lets you preview, install and customize new fonts. A Start-up page in the Settings app lets you determine which apps run at start-up. Password recovery for Windows 10 PCs that are logged into using a local, rather than a Microsoft, account. A multi-GPU feature that allows you to specify which apps should use the more power-hungry discrete GPU. The removal of the HomeGroup feature. My People hub now allows you to drag contacts to rearrange their priority, as well as drag pinned contacts to and from the Taskbar. The virtual assistant Cortana has been redesigned to be simpler to use, with a new Organizer interface and My Skills tab. Limit how much bandwidth downloads taking place in the foreground use under Delivery Optimization in the Settings app. What are the new features for business users, IT admins and developers? While some of the bigger features such as Timeline will benefit both consumer and business users, the SCU introduces a number of positive changes for IT admins and developers. Windows Defender Application Guard (WDAG) is designed to help protect firms against online threats by adding container-based isolation to Windows 10's Edge browser, allowing it to safely contain malware so it can't spread within a company's network. While not a new feature, it is now available on the Windows 10 Pro edition for the first time. The SCU also boosts performance when browsing using WDAG, and also allows users to download files from the container to the host machine. The Windows Subsystem for Linux (WSL) allows Windows 10 to run various GNU/Linux distros from the Windows Store, providing access to Ubuntu, openSUSE, Fedora, and most recently Debian and Kali Linux. Support for Unix sockets, allowing for communication between Windows and the WSL, a major benefit of which is allowing WSL to run the Linux Docker Client and interact with the Docker Daemon running on Windows. Run Linux software as background tasks after closing the WSL console window. A tool wslpath for converting file paths between Windows and Linux. The ability to share the WSLENV environment variable between Windows and Linux. Better filesystem support, with Linux permissions added as metadata to files. The ability to use the VS Code IDE to debug Node.js projects running Node.js from a Linux-based system. The new Windows AI platform will allow developers to use pre-trained, machine-learning models in their apps on Windows devices. Microsoft Edge now allows its developer tools, accessible by pressing F12, to be docked to the right edge of the Edge window. Laying the groundwork for reducing the memory footprint of the registry by introducing a new minimal registry process. Windows Hypervisor Platform gets an extended user-mode API that allows third-party virtualization stacks and applications to create and manage partitions at the hypervisor level, configure memory mappings for the partition, and create and control execution of virtual processors. Linux virtual machines (VMs) running on Hyper-V can now benefit from an enhanced session mode. A quick create tool for VMs. Support of the tar command for creating and unpacking .tar files, and the curl command for sending and receiving files. An OpenSSH-based client and server for easier remote command line administration. 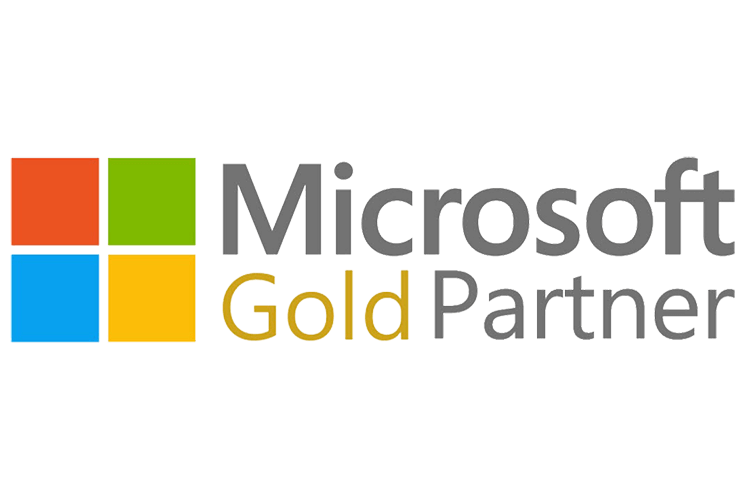 Support for Universal Windows Platform console applications, which means these applications will now be available in the Microsoft Store. addition of ultimate performance mode, which reduces latencies associated with power management techniques. Removal of Candy Crush and other consumer-focused apps from the Start menu by default. Which features didn't make the cut? This long-awaited feature now looks likely to arrive on Windows 10 with the Redstone 5 update in Fall of this year. Much as the name suggests, cloud clipboard will allow users to copy images, links, text and even documents between Windows 10 PCs and phones running Android and iOS, providing they are signed into the same Microsoft account. Preview versions of the feature show cloud clipboard either automatically sharing whatever is copied with linked devices, or being triggered manually by pressing the Windows key + V and then selecting something stored on the clipboard. Another widely trailed new feature for Windows 10 that isn't included is Sets, although to be fair this was never scheduled for the Spring Creators Update. Sets introduces support for tabbed windows, allowing users to group together related apps, documents, files and websites into separate tabs in a single desktop window. The idea is to allow the user to group together every piece of content related to a specific task inside a single window, for instance putting Office documents and websites side-by-side. Microsoft is promising Sets support in a wide variety of apps, with indication that the feature will arrive for the Redstone 5 update in Fall of this year. How can I get the Windows 10 Spring Creators Update early? While the Windows 10 Spring Creators Update is expected to begin rolling out next week, it could take months for Microsoft to upgrade your PC. If you want to try it out now, you can upgrade now by following this step-by-step guide. How can I delay upgrading to the Windows 10 Spring Creators Update? Conversely you may be indifferent to the new features on offer or want to sit the upgrade out until any bugs have been ironed out. If you want to delay the upgrade, then check out this how-to guide for business and home users. Can my machine run the Windows 10 Spring Creators Update? This is the bare minimum required to run Windows 10 however, with 4GB of RAM and 128GB of storage advisable for comfortable use alongside a 4th-generation Intel Core processor or later, or AMD equivalent. Using the VR and AR features in the Mixed Reality platform will also require a modestly powerful discrete GPU or high-end integrated GPU. However, it seems unlikely that any of the new additions to the OS with the Spring Creators Update will change the specs needed to run Windows 10 in any meaningful way. As with previous feature upgrades for Windows 10, older budget laptops may also not be eligible to receive the updates, with affected PCs including those running on Intel Atom Z2760, Z2580, Z2560, and Z2520 processors, such as the HP Envy X2 laptop. Contact Us at info@betach.com / (403) 984-2473 to speak with an expert about any other questions you have surrounding the update, or how it may affect your systems.